Mexico's Deputy Secretary for Planning and Energy Transition at the Ministry of Energy of Mexico (SENER), Leonardo Beltran Rodriguez, led a ceremony held at Casa de la Universidad de California in Mexico City on November 16, 2017 to announce the funding awards for five projects that Mexican research institutions developed in partnership with University of California (UC) colleagues in response to the US$10 million Request for Proposals (RFP) "Collaboration Projects in Energy Efficiency; Cooperation with the University of California." The objective of the RFP, launched by the National Council for Science and Technology (CONACYT)-SENER Energy Sustainability Fund (ESF) during President Janet Napolitano visit to Mexico in March 2017, was to support research initiatives aimed at reducing the energy demand of buildings and urban services and transitioning to a low-carbon economy via demonstration projects and comprehensive energy efficiency solutions. Arthur Ellis, Vice President for Research and Graduate Studies at UC Office of the President and Odon de Buen, Director of the National Commission for the Efficient Use of Energy in Mexico (CONUEE) participated as keynote speakers in the award ceremony, which was attended by UC Vice Chancellors for Research from the UC campuses, Mexican colleagues from leading academic institutions and government officials. A videotaped congratulatory message by Commissioner Andrew McAllister from the California Energy Commission (CEC) and brief presentations by the lead researchers that collaborated in the five awarded proposals were included as part of the program. In his remarks, Deputy Secretary Beltran highlighted the establishment of long-term clean energy generation and energy efficiency targets as a landmark of Mexico's public policy for a sustainable energy future. In reference to the RFP awards on energy efficiency he said, "I am glad to see that with the participation of the best talent from the University of California system and our academic and research institutions, along with the private sector and the governmental sector, we are addressing the challenges and laying the conditions to make sure that Mexico can transition to a low carbon economy." Arthur Ellis stated, "This is really a first step, one we can build on to deepen and strengthen our connections. There are many opportunities across many fields of scholarship and involving not just the academic community but government colleagues, industry and non-governmental organizations. 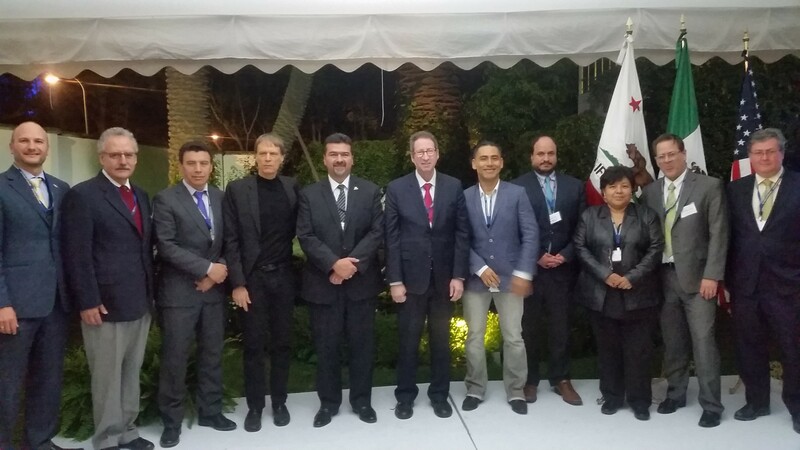 We are very excited about what lies ahead in our collaborations between UC and Mexico". CEC Commissioner McAllister pointed to the knowledge and understanding of energy management systems that will be generated through the collaboration on energy efficiency between Mexico and California. He also stated that the awarded proposals will serve as a foundation for new initiatives that could lead to a binational research agenda on clean energies. The Fund received over 20 proposals, developed by Mexican institutions in collaboration with experts from Berkeley Lab, UC Davis, UC Berkeley and UC Irvine, said Hermann Tribukait, ESF Representative for North America. The proposals that met the requirements were reviewed by the evaluation committee, composed of independent experts, including independent experts from the U.S. These experts submitted their evaluations and consensus decisions to SENER and CONACYT. Leadership role in developing and signing the MOU between UC System and SENER, signed by President Janet Napolitano and Deputy Secretary Leonardo Beltrán in October 2014 at Berkeley Lab. Participation in the announcement of the RFP "Collaboration Projects in Energy Efficiency; Cooperation with the University of California", in March 2017. Leading participation in the International Expert Workshop of the Clean Energy Materials Challenge of Mission Innovation at DEMEX, including a leading role as the Co-Chair of the event of LBNL scientists Kristin Person and Deputy Lab Director for Research Horst Simon, participating as panelist along fellow UC Faculty Nobel Laureate Mario Molina.